Blotters are a huge category as millions were handed out for many thousands of companies. 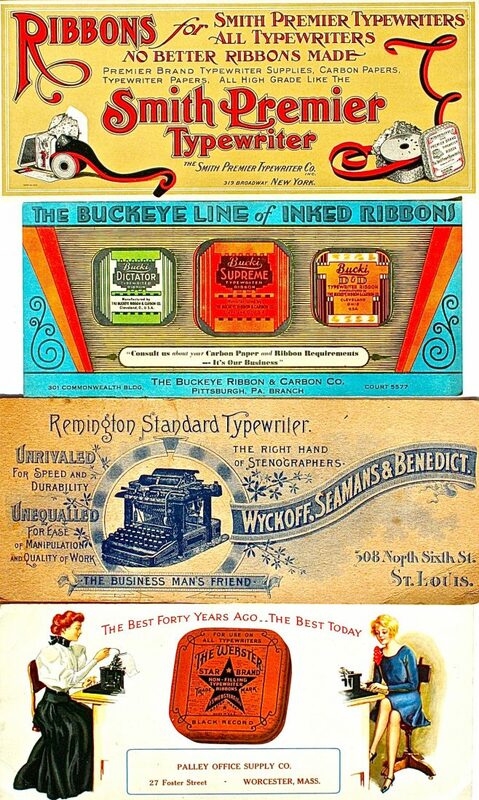 Many blotters for typewriter, ribbon & carbon paper companies are very attractive and historical. There are almost 200 pictured here in this category.